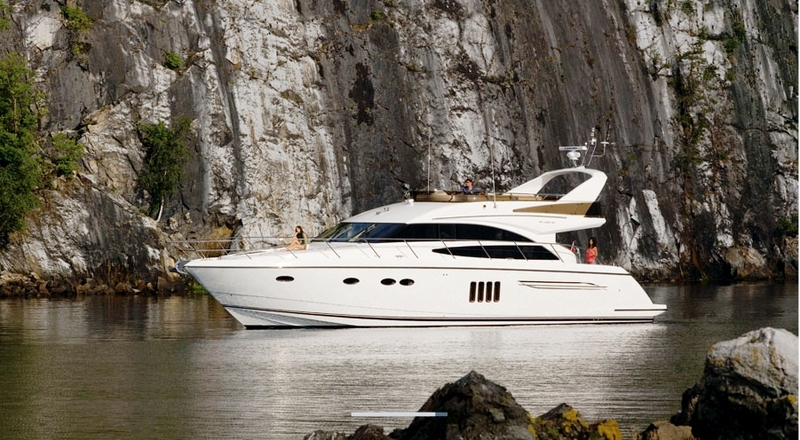 Motor yacht DREAM PRINCESS is a 2010 Princess 62 charter yacht measuring 19,30m (63' 3"). 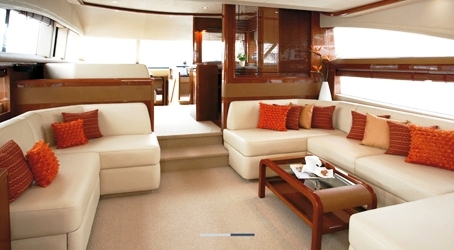 DREAM PRINCESS is an impressive motor yacht that is fast and sleek. 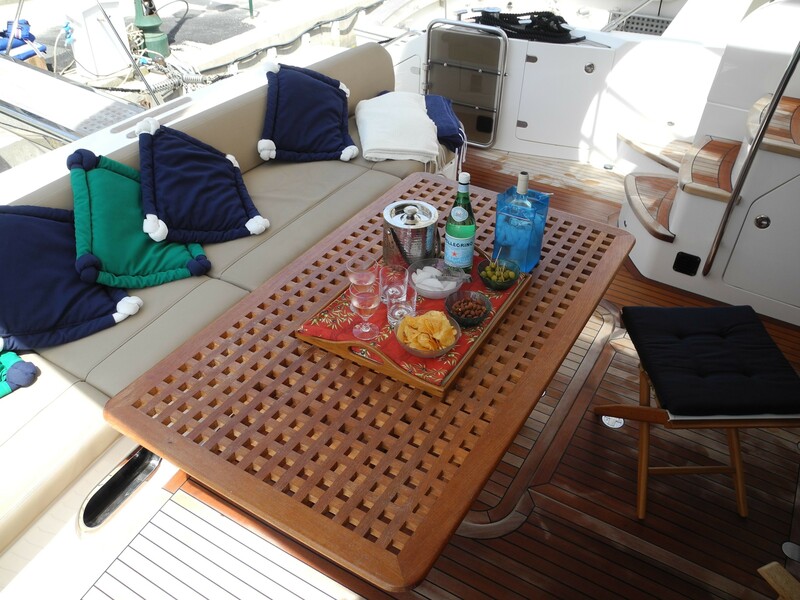 She is able to accommodate up to 6 guests overnight and is based near St Tropez in the Western Mediterranean. 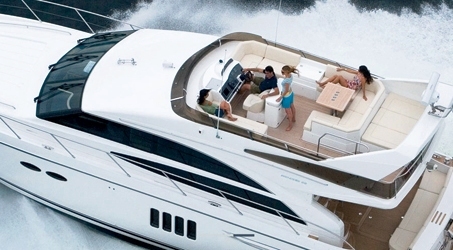 The Princess 62, DREAM PRINCESS is powered by high performance inboard diesel engines for high efficiency, able attain a cruising speed of 28 knots with a top speed of 31 knots. 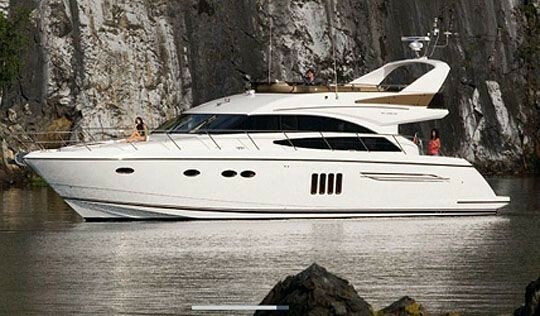 Charter yacht DREAM PRINCESS has dynamic good looks. 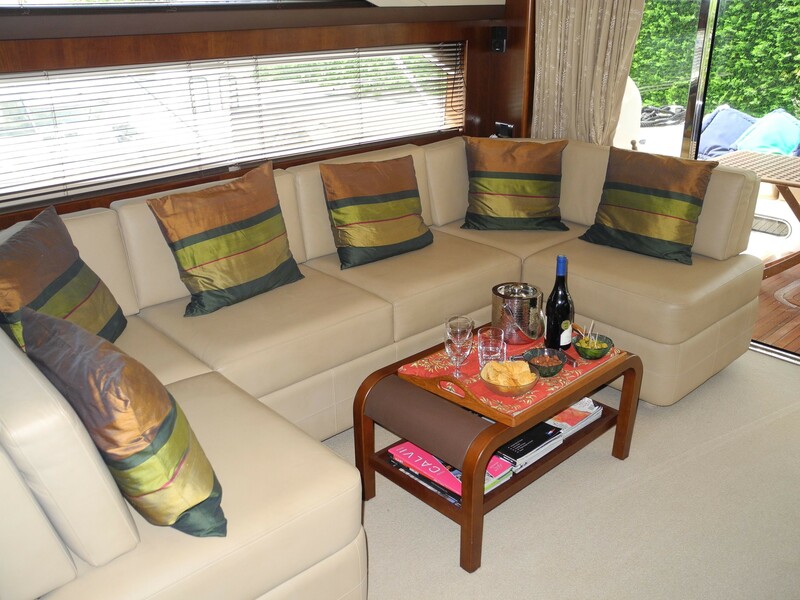 Her deep V hull has been developed with a generous beam so as to allow a good sized galley to be located on the main deck in conjunction with a separate dining area and a large and comfortable aft saloon with its own entertainment centre. 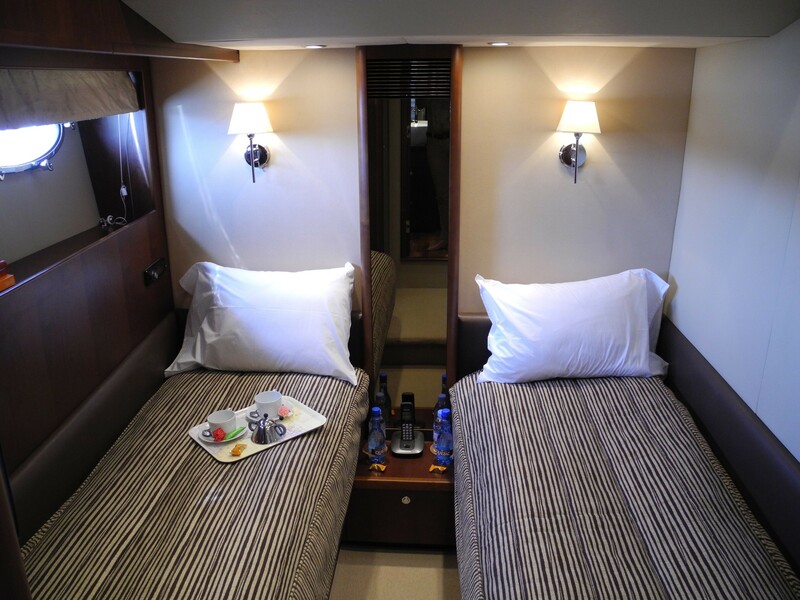 This allows the lower deck accommodation to be designed on the same principles as much larger boats with a full beam owner's cabin, a VIP suite forward, and a twin cabin. 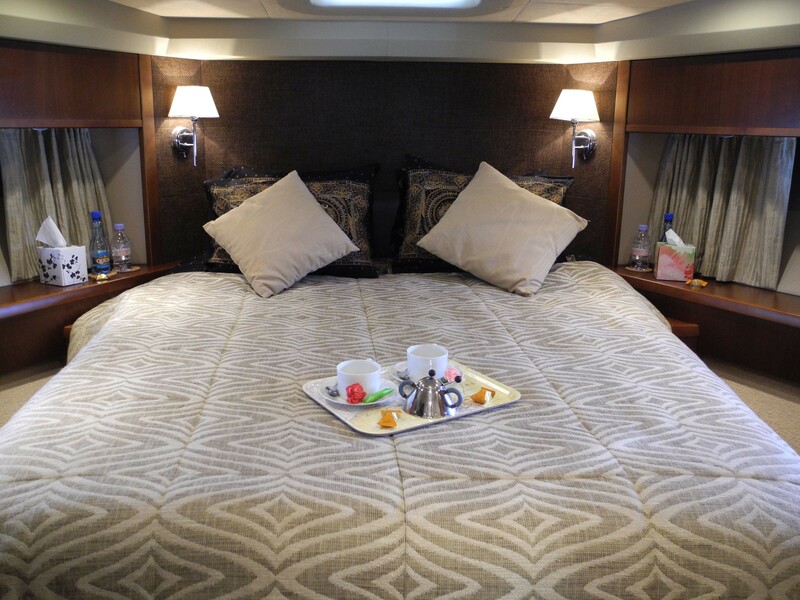 The luxury Princess motor yacht DREAM PRINCESS can accommodate up to 6 guests in 3 luxurious and spacious beautifully fitted staterooms. The Owners suite is full width of the beam with a large double bed with drawers below and twin bedside tables. There is a large wardrobe, LCD TV/DVD/radio and En-suite with shower. 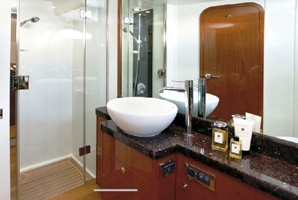 The forward VIP guest stateroom has a large double bed with drawers below, wardrobes and shelves, and an en-suite shower. 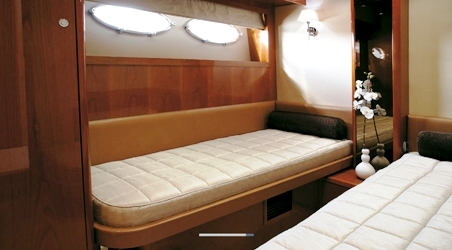 The starboard guest cabin has 2 single berths with storage and a large wardrobe. 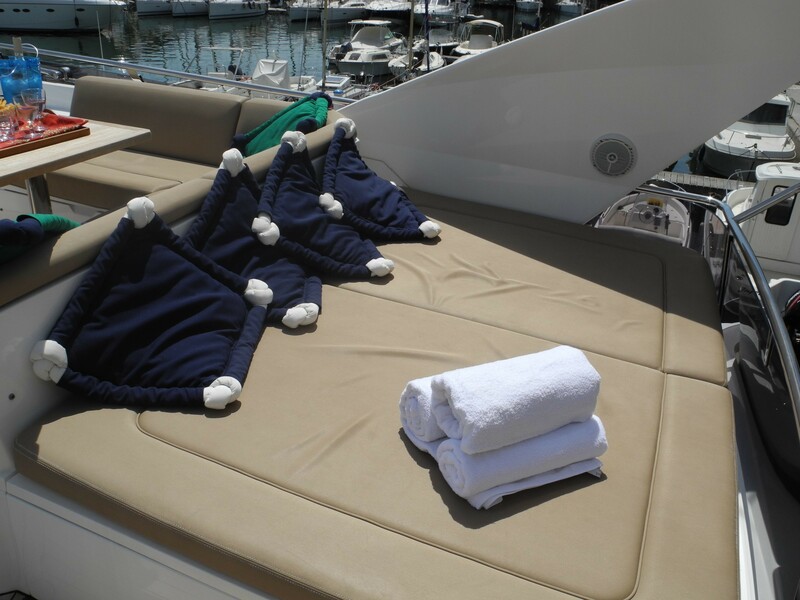 Whether relaxing on motor yacht DREAM PRINCESS’s foredeck entertaining in the U-shaped cockpit, or on the fly bridge with large seating areas, a separate sun bed, and a wet bar with barbeque the stylish Princess 62 will ensure an exciting stay on board. 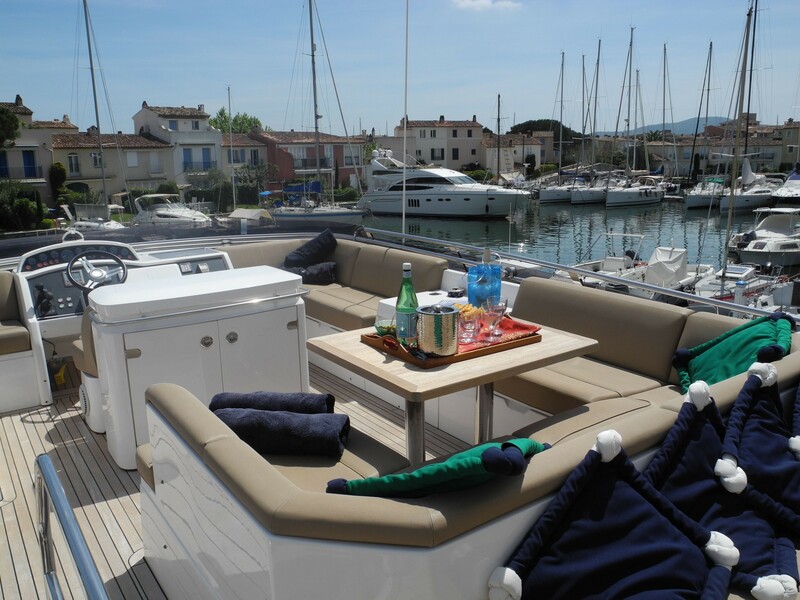 Charter yacht DREAM PRINCESS is based in the South of France and available for luxury yacht charter vacations around the Western Mediterranean. She has a crew of 2. 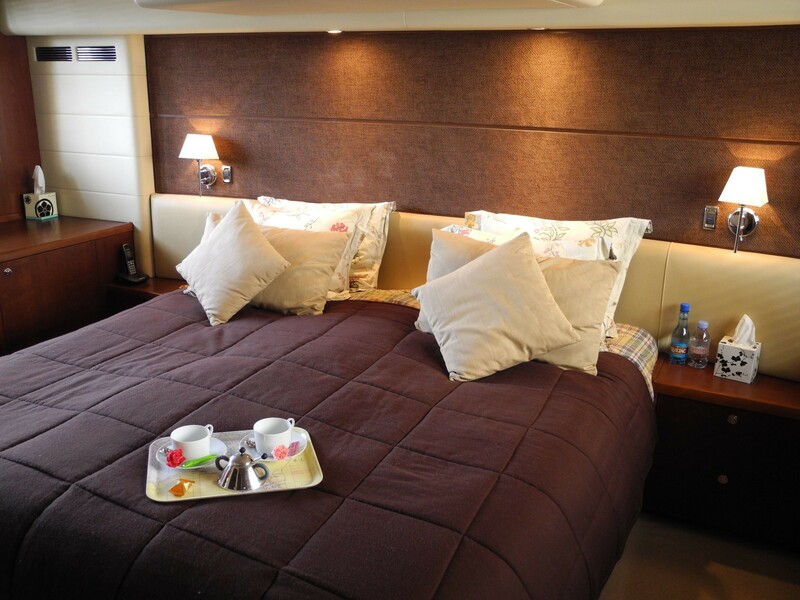 The luxury Princess motor yacht DREAM PRINCESS can accommodate up to 6 guests in 3 staterooms. 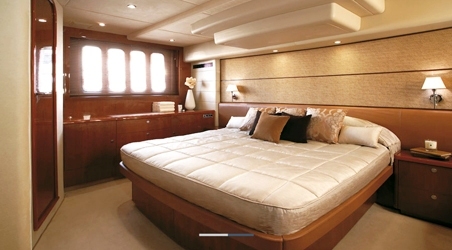 The Owners suite is full width of the beam with a large double bed with drawers below and twin bedside tables. There is a large wardrobe, LCD TV/DVD/radio and En-suite with shower. 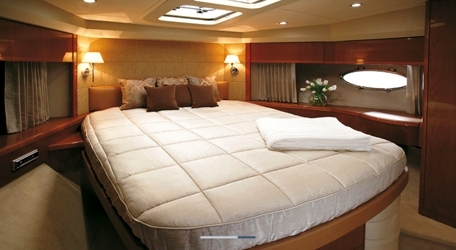 The forward VIP guest stateroom has a large double bed with drawers below, wardrobes and shelves, and an en-suite shower. 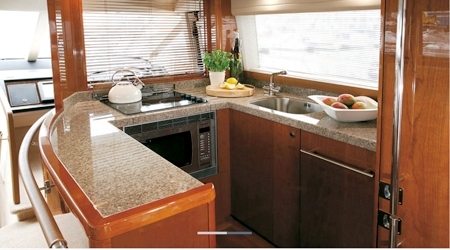 The starboard guest cabin has 2 single berths with storage and a large wardrobe. 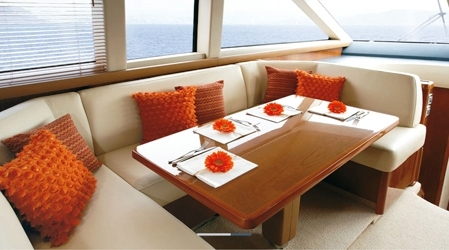 Motor yacht DREAM PRINCESS boasts extras for guests to enjoy such as an Avon 320 jet rib tender, Water-skis, a rubber ring, Fishing rod and Snorkelling equipment. 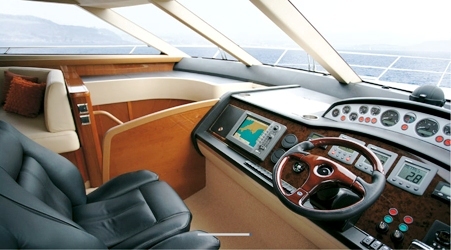 Communications onboard include a Panasonic 7000 with handhelds in all cabins, office and saloon. Works as intercom and if a 3G card is put into the system you get an external line when dialling 0. External 3G antenna. Outlet for shoreline telephone into the system. 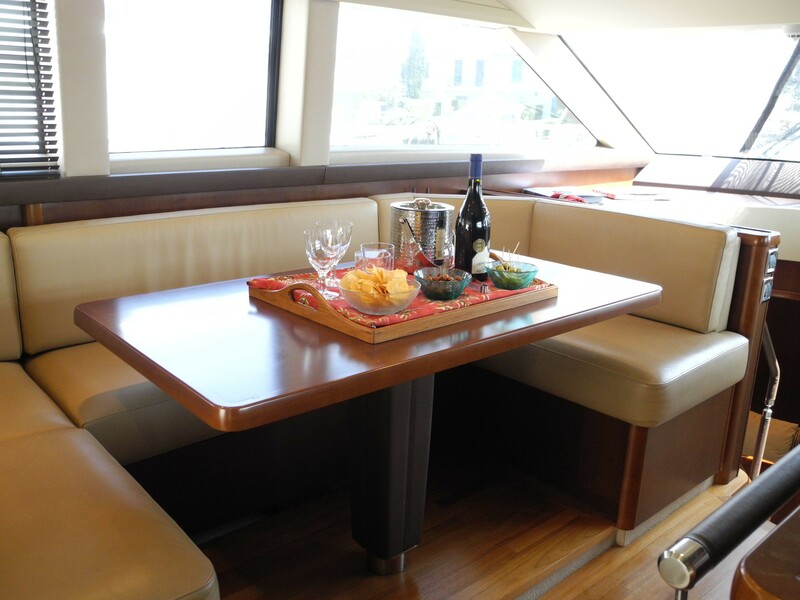 Audio Visual Equipment and Deck Facilities include Track Vision SAT TV antenna, Saloon: 32” TV with sat box. 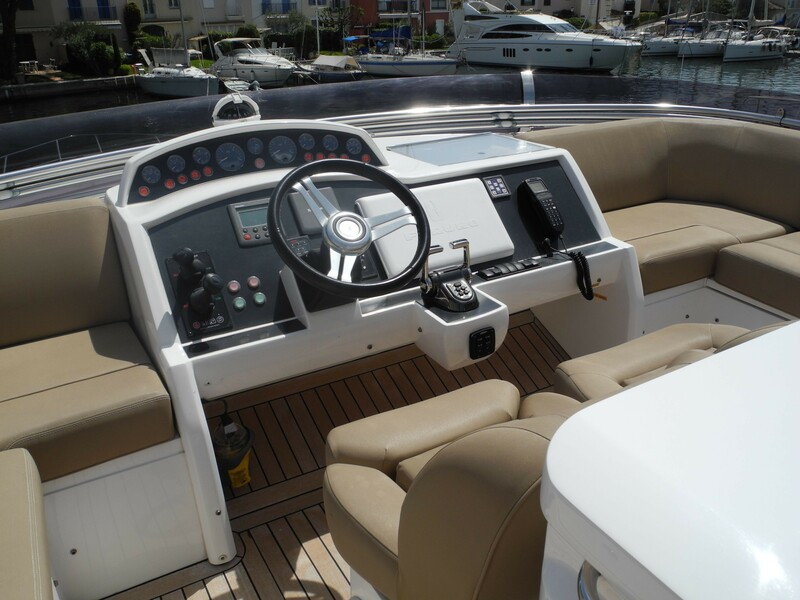 Boos 48 with DVD, Master cabin: 26” TV with sat box, Bose 3.2.1 with DVD, Starboard cabin 19” TV, Bose link. Forward cabin: 19” TV with sat box, Bose 3.2.1 with DVD. Office 32” TV with DVD and sat box. Aft cockpit: Bose link. Fly bridge: Bose link. 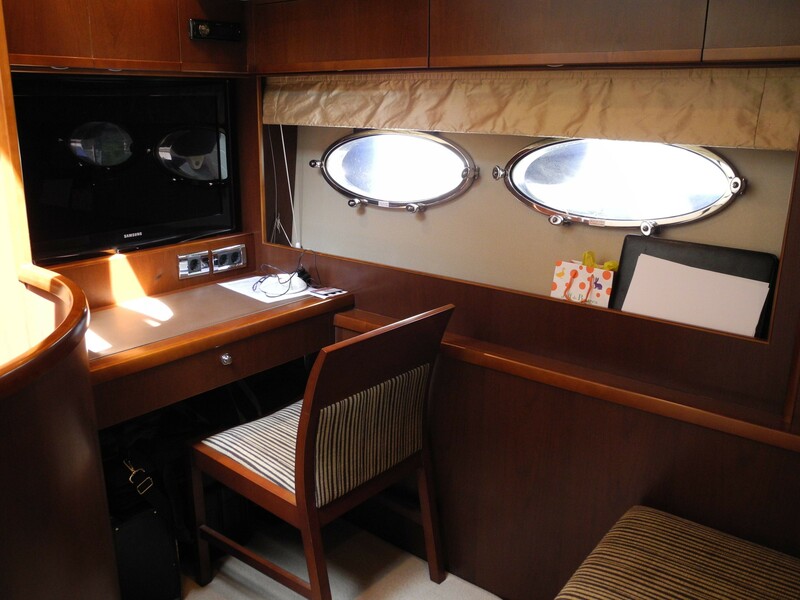 TV signals are also linked to the navigation displays at helmsman’s position and fly bride.